We Are Not A Matrix! Not MLM! We have set up a long term advertising platform for you! The concept is simple to understand and easy to do. Earn Cash Back rebates for advertising. 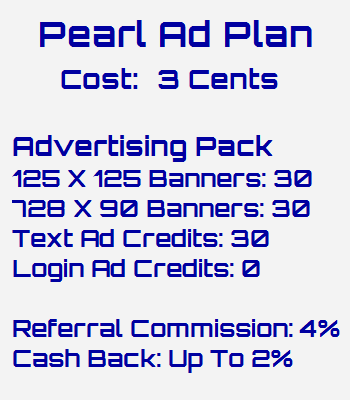 Get Paid To Advertise! Pre Launch Offer: 50 Cents PIF to first 1,000 Members. 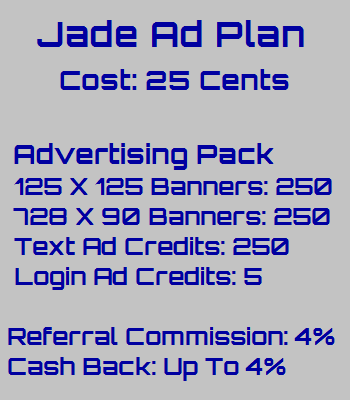 You can use your PIF to purchase 2 Jade Ad Plans. Advertise your business opportunity, get cash back rebates for advertising, and earn referral commissions when you sell ads. Try Us Risk Free With Your PIF! The Number One Real-Time Earning Site! We accept Bitcoin, Litecoin, Ethereum, Doge, XRP, and BCC. Copyright © 2019 Consistent.pro - All rights reserved.